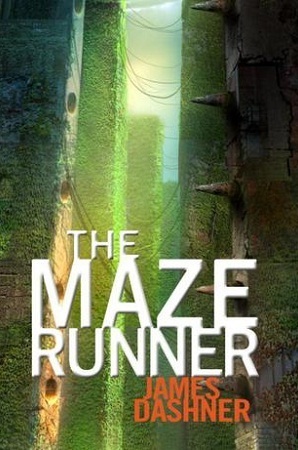 The Maze Runner is the first book in James Dashner's series of the same name. When Thomas wakes up in the left, the only thing he can remember is his name. He's surrounded by strangers- boys whose memories are also gone. Outside the towering stone walls that surround the Glade is a limitless, ever-changing maze. It's the only way out- and no one's ever made it through alive. 1. Wow! Dashner has written an intense and amazing story in The Maze Runner. He did a great job of keeping me guessing of what was going on in the story, and what the end game was. Plus the way Dashner created the glade and the maze was so vivid. 2. One of my favorite things about this book was how well the characters were written. Thomas, despite remembering nothing, is a strong character, and his personality comes through the pages so clearly. He is brave, loyal, and compassionate. He is also very smart. 3. I loved the Grievers. They were frightening, and just the perfect mysterious villain to the Gladers. I mean what is scarier than unpredictable robots. 4. The ending has me dying to read the rest of the series because I have so many more questions.